03 Mar 2018 Next stop: IT-Trans! 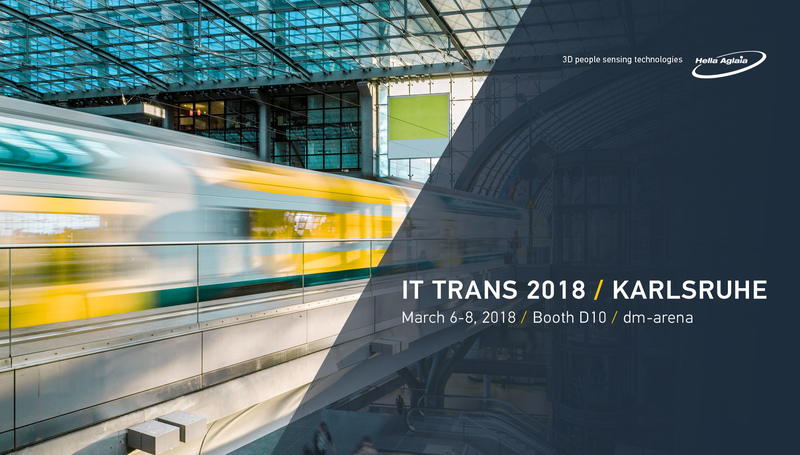 Our people sensing team will attend the IT-Trans, one of the leading industry events on intelligent urban transport systems held Karlsruhe, Germany, showcasing our 3D passenger counting sensors. Designed to provide you with highly accurate analysis data on passenger structure and flow, our products now come with enhanced counting capacites that allow to track bicycle transport aboard busses and trains. Stop by our booth D10 in the dm-arena and try it out for yourself – we look forward to seeing you!